They need to be kept in groups of at least 5, I have a 10 gallon tank with some Neon Tetra Fish and bettas. But other than that, they are both very peaceful fish, and if you have a 10-20 gallon (37-75 liter) tank you should be fine.... 5/06/2018 · Cardinal 4: Spine is a bit bent (from the beginning). Doesn't seem to be getting worse but that white line on the tail was noticed just last night. Any Ideas? Doesn't seem to be getting worse but that white line on the tail was noticed just last night. The Cardinal Tetra is a stunning red, blue, and silver coloured Tropical species that looks amazing in any Aquarium/fish tank, they are a peaceful community fish and also make a brilliant display as a single species only tank (ie. all occupants are the same). how to get free tokens blockparty hivsmc 17/06/2009 · The worms in 100x magnification worm-4.jpg worm-2.jpg worm-1.jpg On the 5th of June I started treatment by dissolving 5 tablets (for 120 lt) of Parazin (Waterlife). When I removed the worms I poured a drop of mycopur (serra) straight to the fish for the recovery of the wounds and possible bacteria infections. These are common worm like parasites (or ectoparasite) about 1-2mm in length which live in and reproduce in the gills of cold water or tropical fish (occasionally on to the surrounding skin). how to keep dendrobaena worms These are common worm like parasites (or ectoparasite) about 1-2mm in length which live in and reproduce in the gills of cold water or tropical fish (occasionally on to the surrounding skin). Neon tetra is also a good tankmate for guppies, glofish, betta, white cloud mountain minnow, harlequin rasbora and other peaceful fishes. 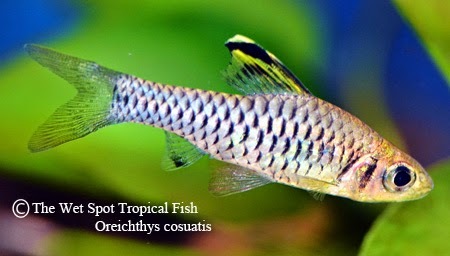 However, cichlid fishes like Jack Dempsey or tiger barbus or other large and aggressive fishes will be rather bad tankmates for small fish. Breed these beauties with confidence and know-how. The Cardinal Tetra (Paracheirodon axelrodi) is one of the best known of the aquarium fishes. This is partly because they are so photogenic and their likenesses appear frequently in aquarium books and magazines.